Hairpin Lace (also called hairpin crochet, fork crochet and Maltese lace which is not to be confused with Maltese bobbin lace) is an open lace strip or braid. It is made on a U-shaped pin and worked with a crochet hook. 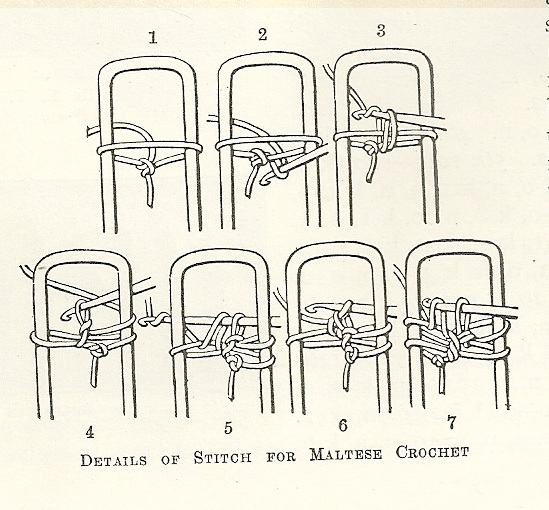 It is easy too work and useful for edgings, collars and cuffs. 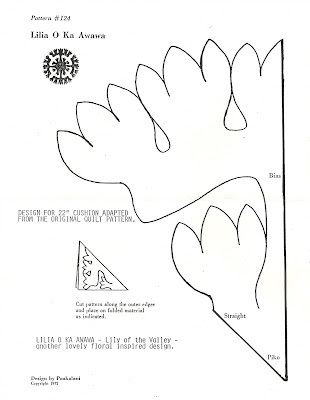 The forks could be held with the opening up or down as the pattern required. 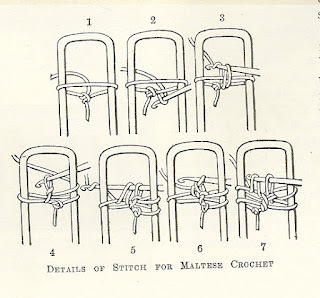 19thC women used their hairpins (hence the name). Commercial pins also called “forks” (or staples) were available. 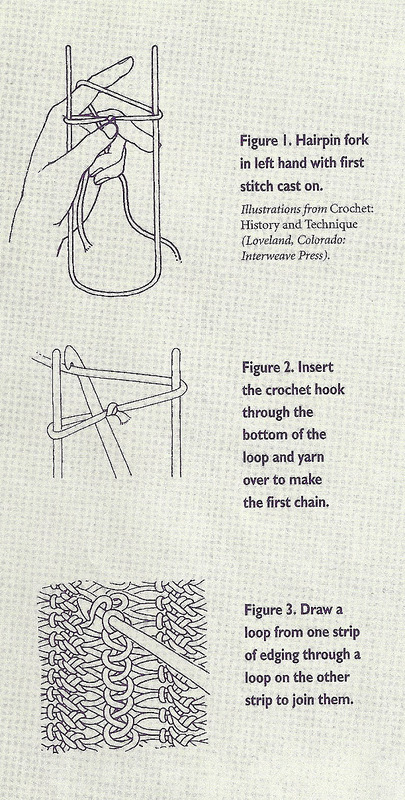 Eventually, by the 1930’s adjustable, rectangular forks made it possible to make fine, narrow strips using cotton threads or heavier, wider bands using wool. 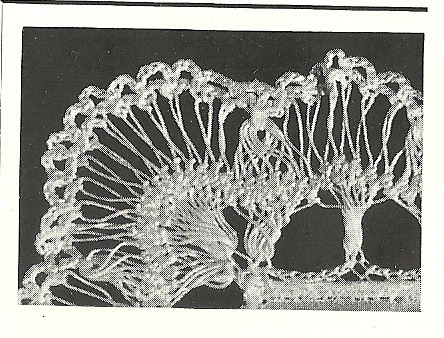 Also available were forks with three or more prongs, which enabled the maker to create loops of various lengths within the same strip. 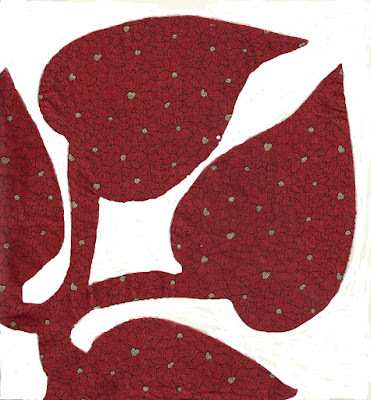 This unique textile art is characterized by large designs of one color, usually floral as it was thought it would be unlucky to use animals or birds in the design. The design is cut from one large piece of fabric, which had been folded into eighths and appliquéd onto a background cloth. 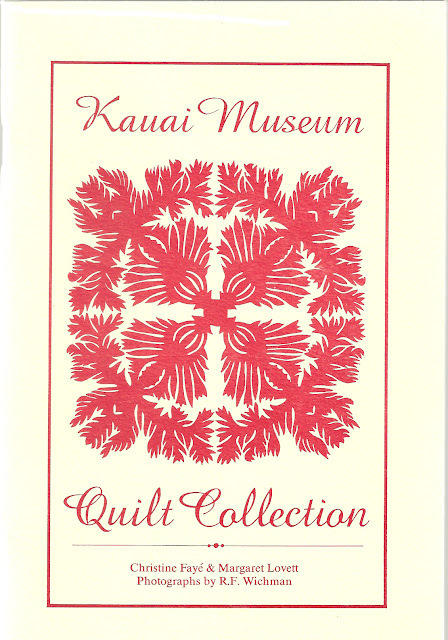 Parallel quilting lines (called “kuiki) form intricate waves (“humu lau”)which follow the applied pattern. 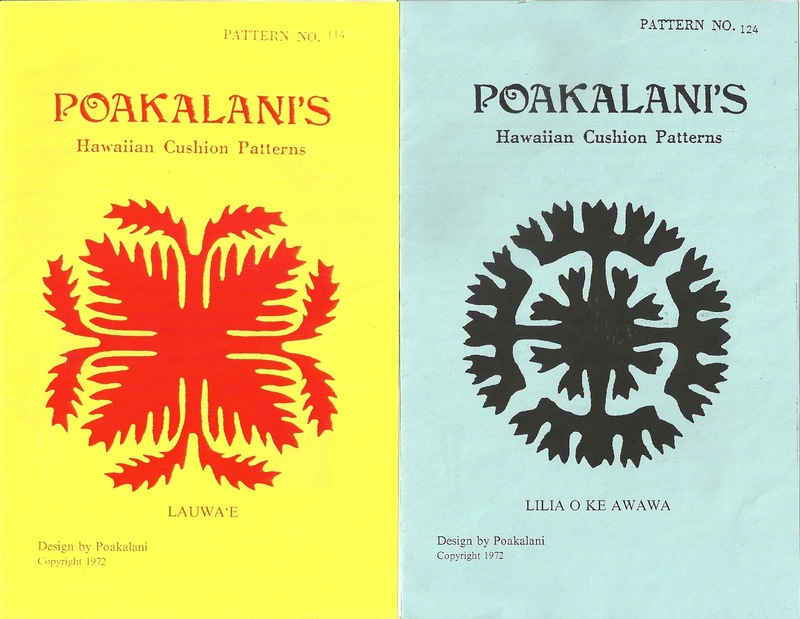 Historically, Hawaiian quilters did not use patterned fabrics, so as not to detract from the design. They called their quilts “kapa” which also refers to the cloth made from the beaten bark of the mulberry tree. They believe that their “kapa” contains their spirit (“mana”). Their patterns were closely guarded secrets to use another’s pattern was to steal her soul. 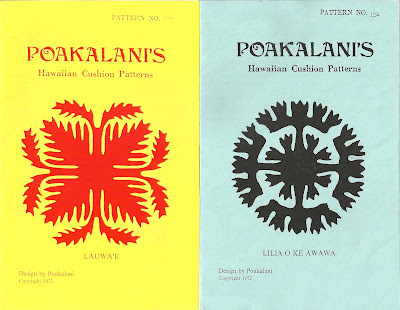 One can purchase Hawaiian patterns for quilting. 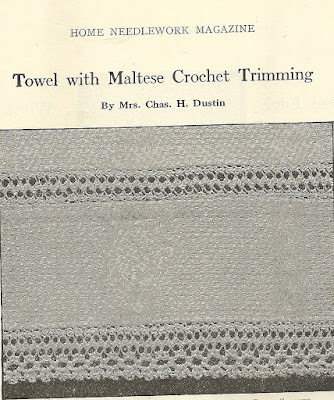 This textile style was introduced to the islands by New England missionaries in the early 19thC. 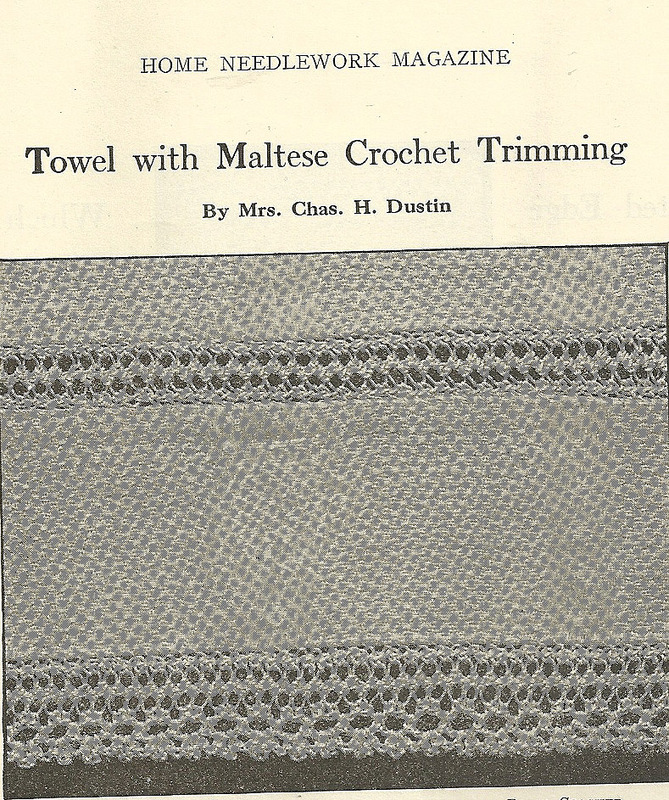 Initially the missionaries taught the method of piecework quilting, that of using small scraps of fabric to form abstract patterns. 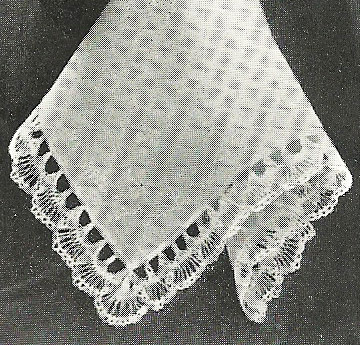 The Hawaiians were used to using whole lengths of cloth for making their untailored garments and chose to use large pieces of cloth instead of the small scraps. 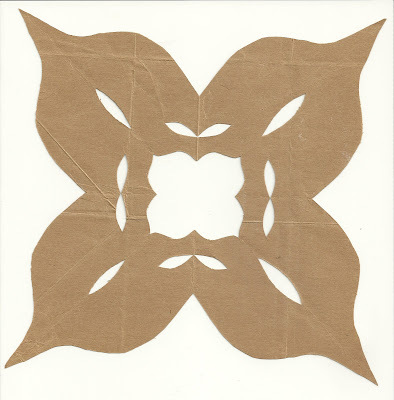 The New Englanders also taught the art of paper cutting, as we learned as children to make snow flakes, by folding paper, cutting the design and unfolding to reveal an intricate, one piece pattern. These quilts were not necessary for warmth. 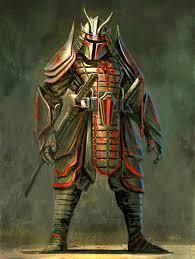 They are considered objects of art, important to their culture. 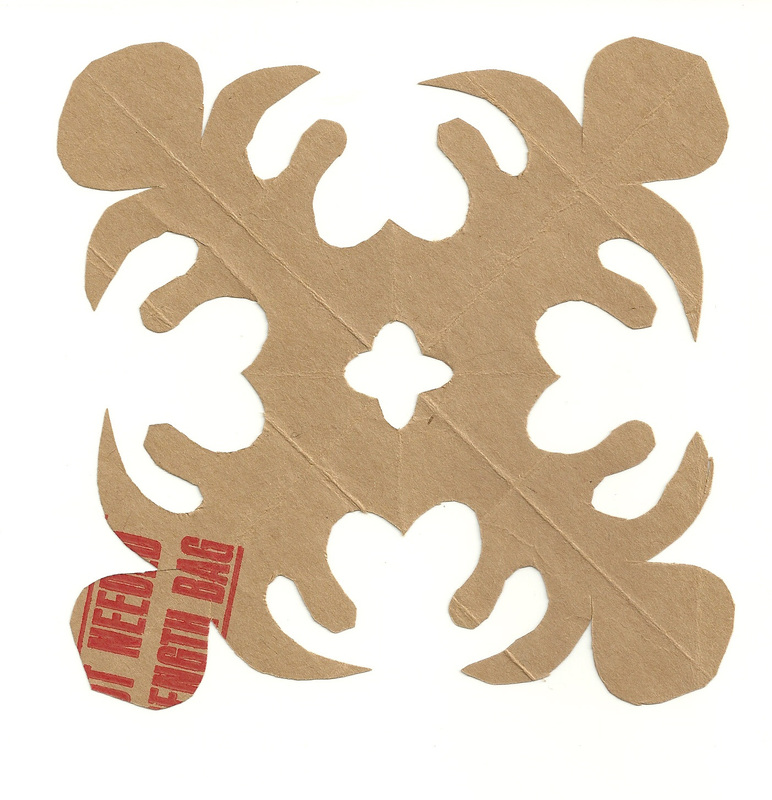 This type of quilting is seen throughout Polynesia. 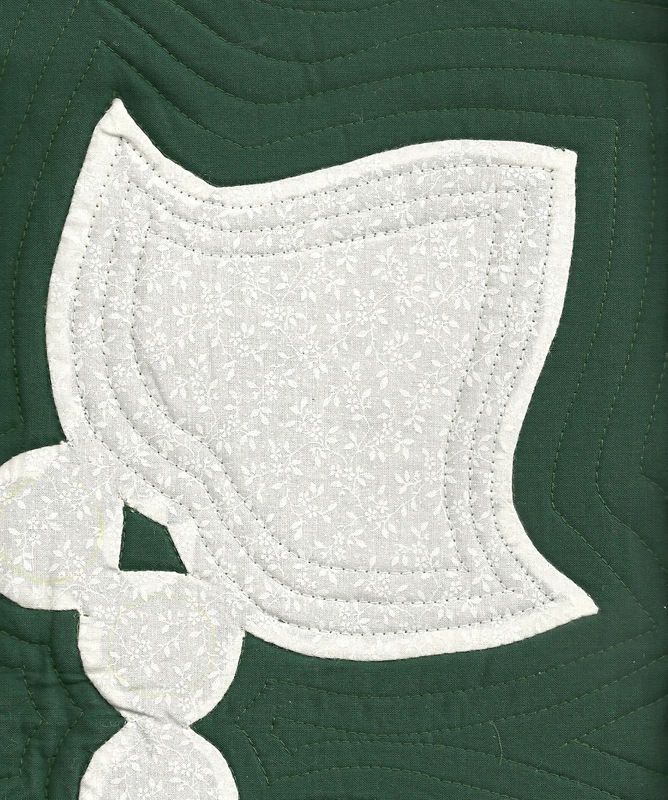 In Tahiti, these quilts are known as “tifaifai”. In the Cook Islands they are called “tivaevae”. See my blog: Cook Islands Tivaevae, 1/18/15. 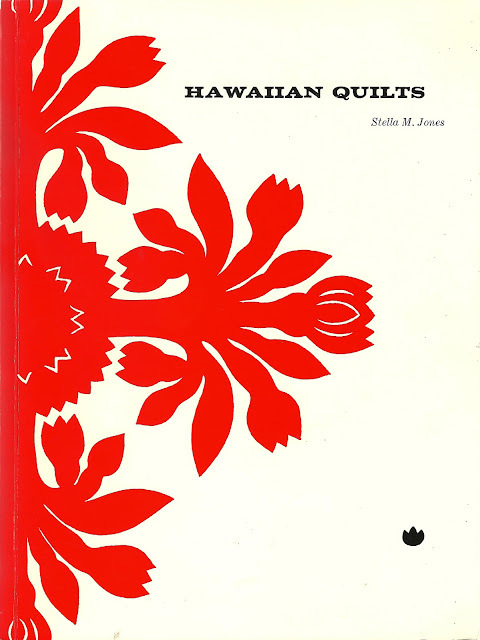 When I last visited Hawaii I sought traditional handmade quilts. 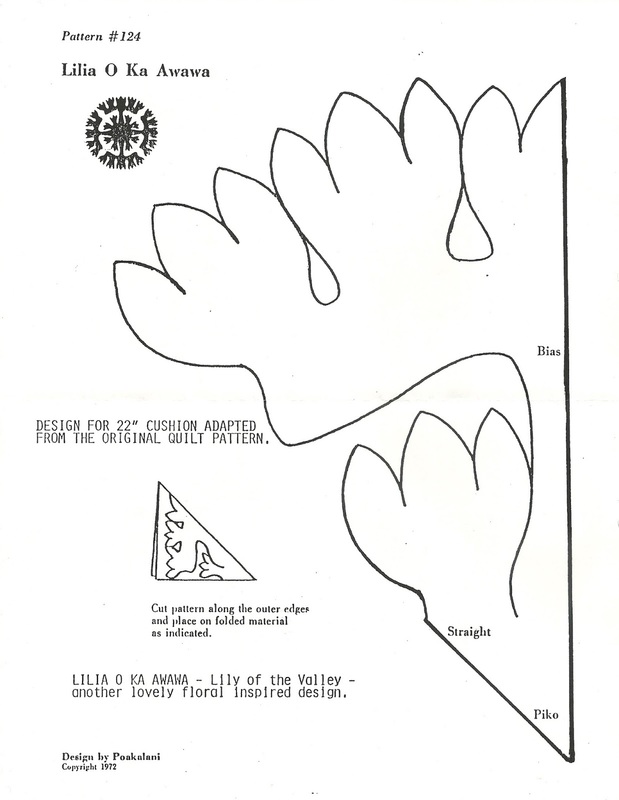 I found that those for sale on the retail market had been imported from the Philippines as few quilters on the islands continued the tradition and those that did could not compete with the low prices of the imported quilts.